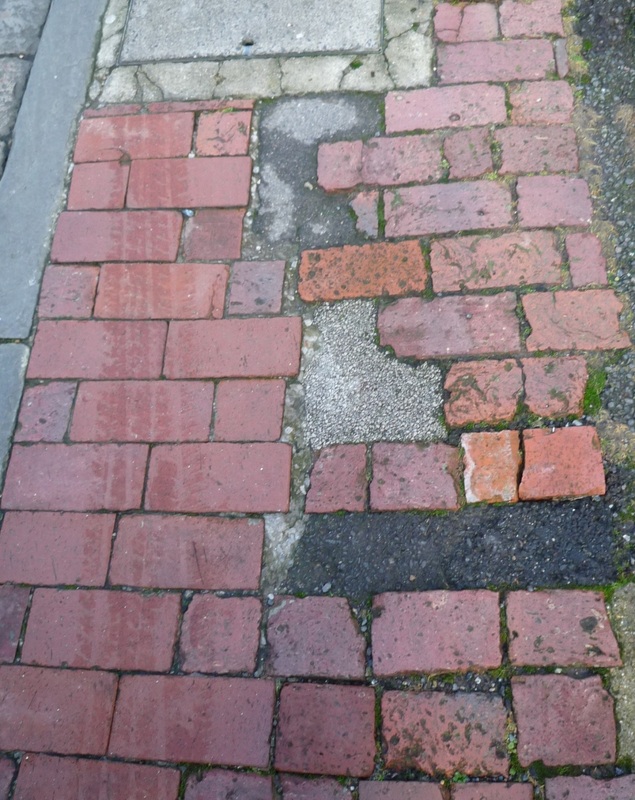 Lewes has a good number of pavements of local bricks, which are at constant risk of degradation when repairs are necessary. 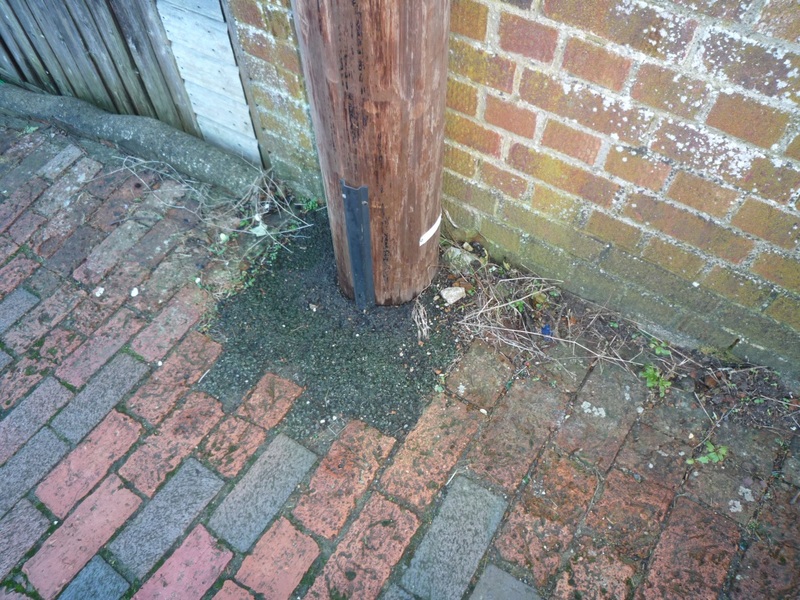 Because of the risk of settlement, utility companies are allowed to fill in with tarmac , but are obliged to reinstate the original surface within six months. 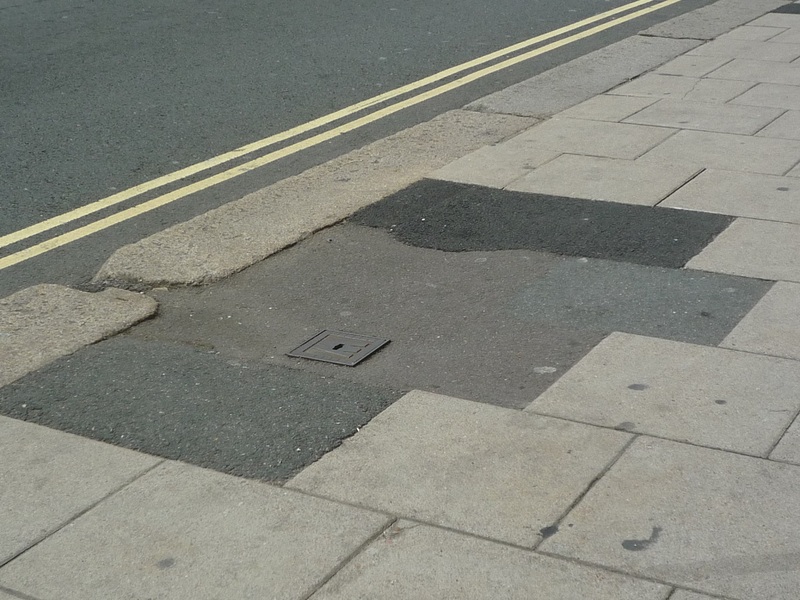 The reality is that this task has a low priority for them and enforcement is not thorough, so that the streetscape can be scarred for long periods. 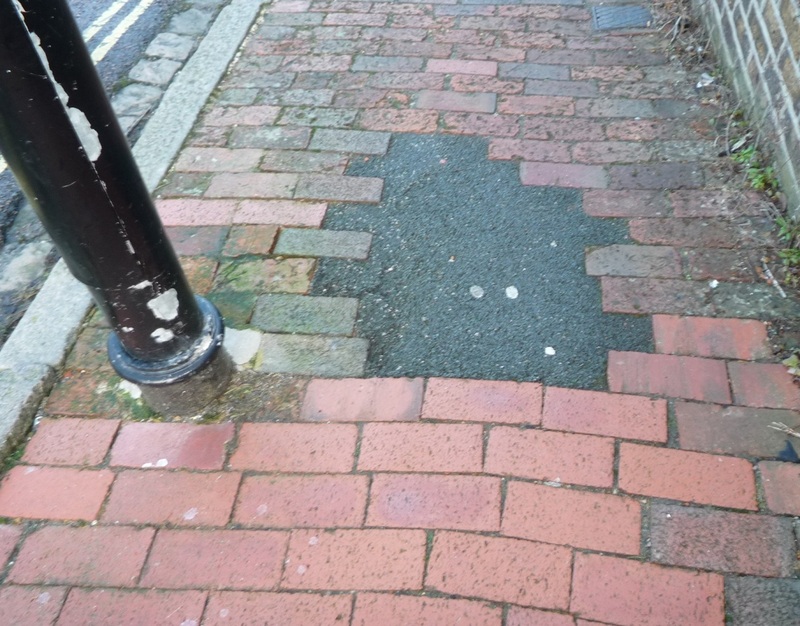 Not only utility companies dig up our roads and pavements; East Sussex Highways often make repairs for safety reasons, but do not seem to apply the same rules on reinstatement time to themselves as should apply to other agencies. 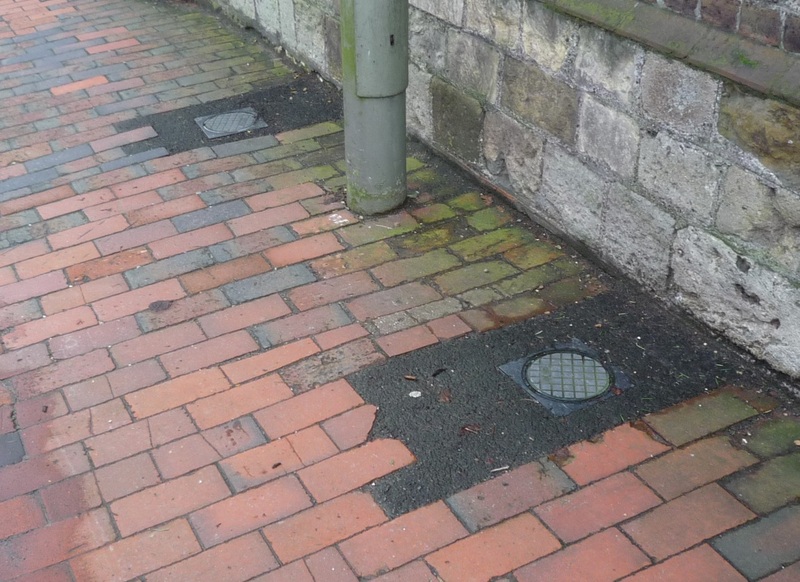 Not all pavement repairs are problematic: here is a recent example of immediate reinstatement after gas works outside Bake Out (formerly Forfars). 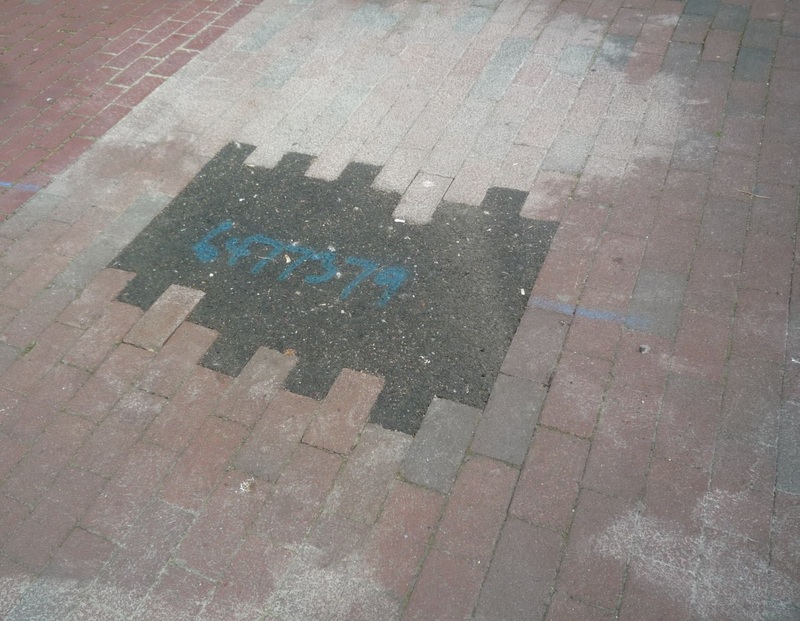 Another example, both of delay and what can be done is a patch outside Dial House in the pedestrian precinct. 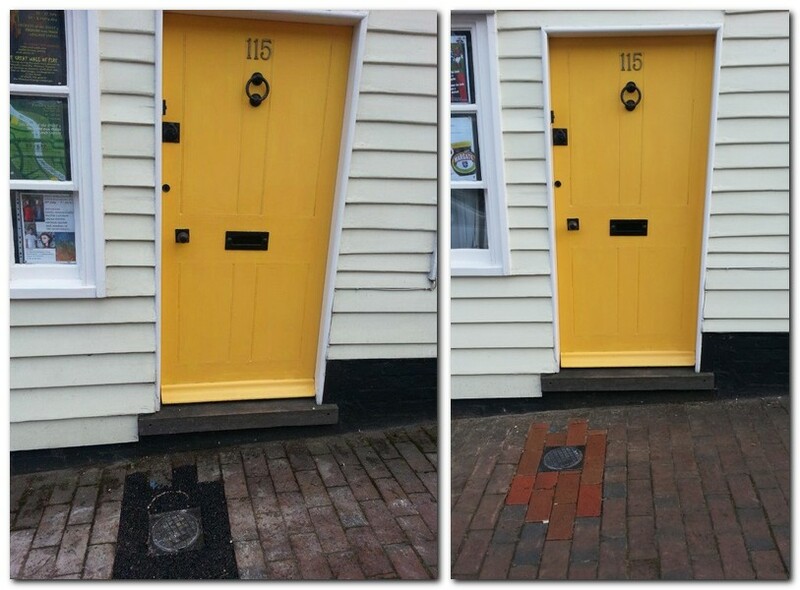 After many months, a recent repair uses the right materials and it will weather down well pretty quickly. 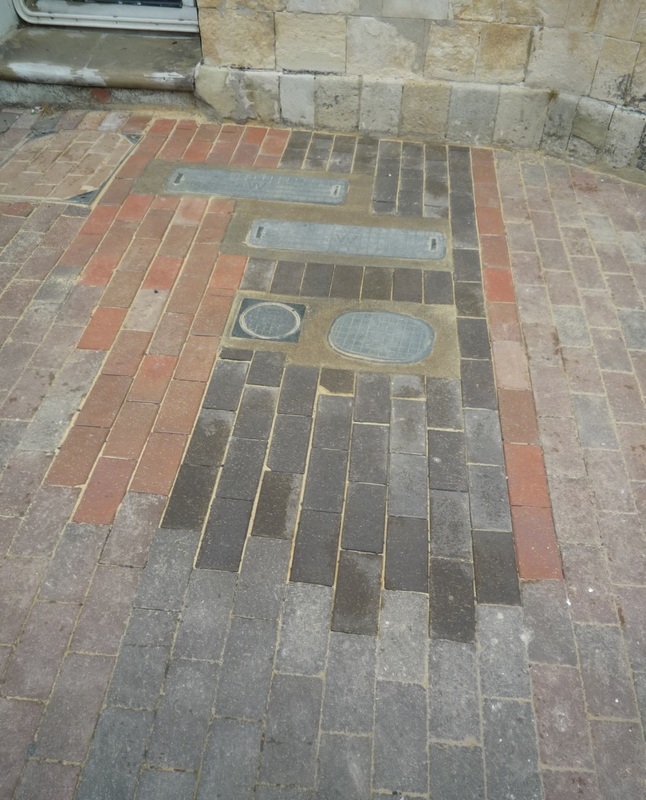 A fresh patch on the High Street – despite recent efforts to mark such repairs with a code from which the reinstatement date can be determined, reminders often seem to be necessary. Two examples from the southern end of Leicester Road. Sometimes the areas involved are quite small, but the effect is cumulative. 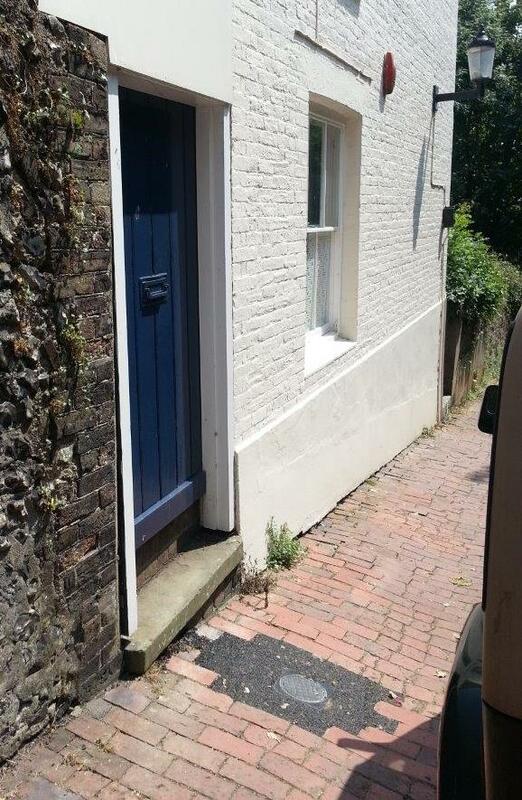 Southover High Street, opposite Anne of Cleves House. What message does this send to visitors about the way we value and care for the Conservation Area? 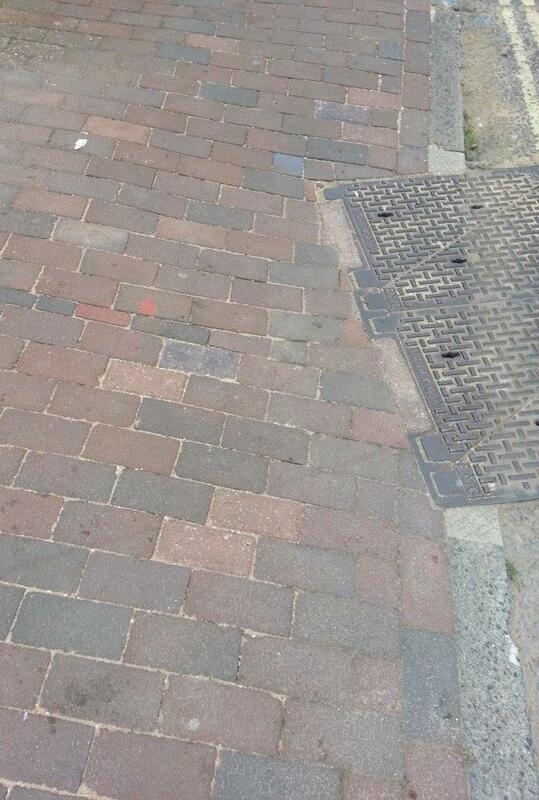 Here a slabbed pavement in Western Road was in-filled with tarmac. 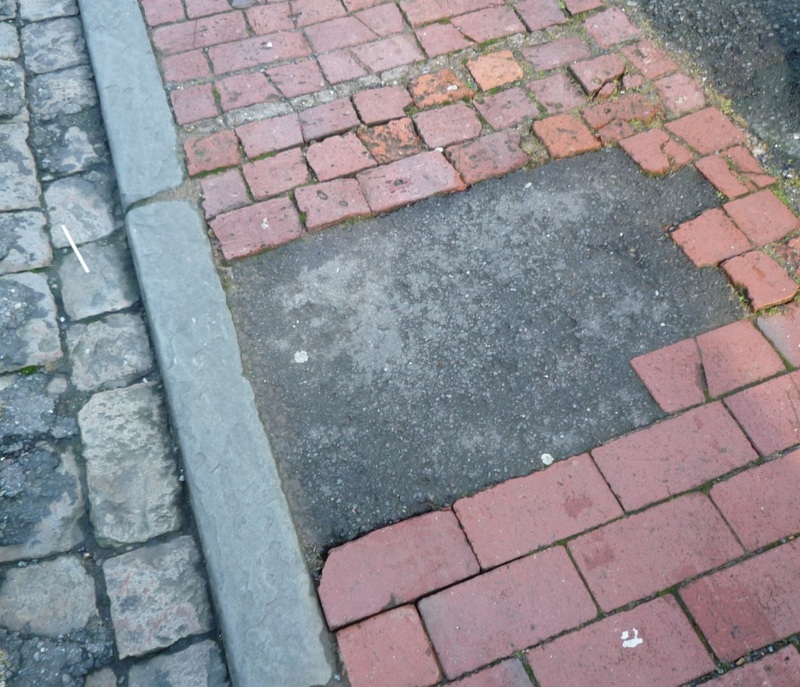 Vigilant councillors publicised this at once, as they have inappropriate repairs in St Nicholas’ Lane. 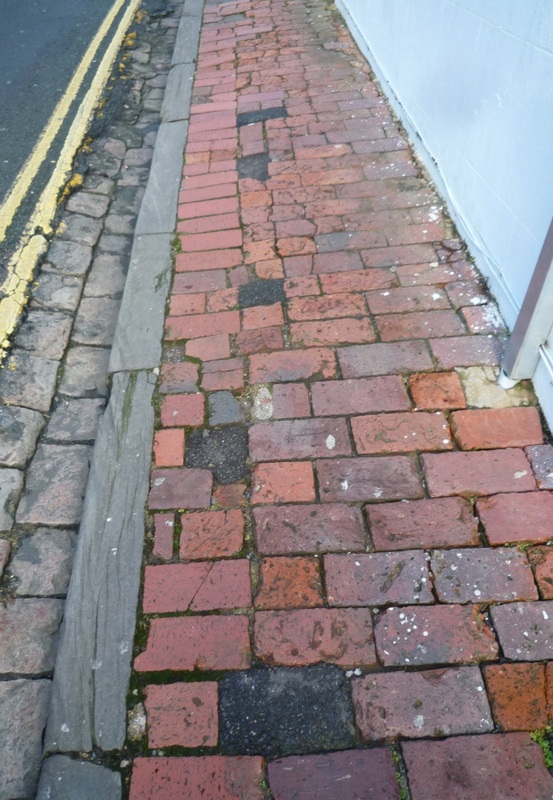 The next photograph shows three successive repairs on one patch on the upper High Street, in front of the Law Courts. The Highways Department say that this and a dozen other patches nearby, were undertaken for safety reasons and that they have no plans to revisit them soon…. There must be other examples. 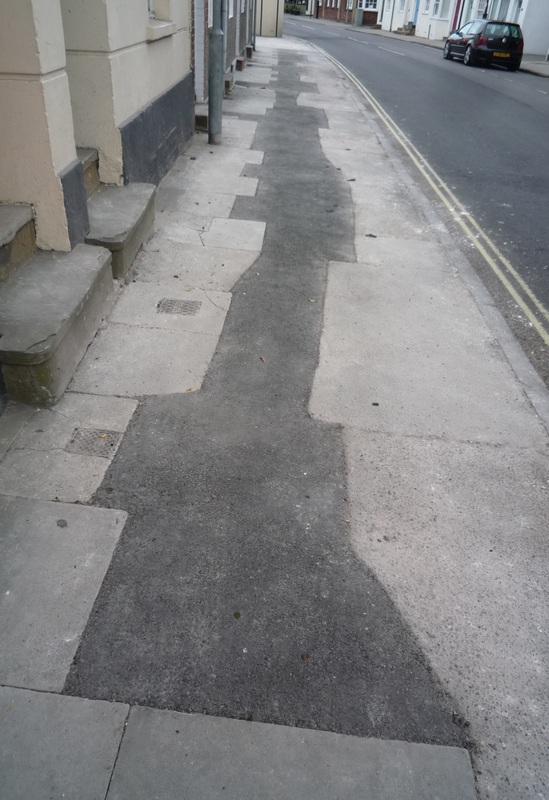 If you see ones which spoil our streets, let us know, ideally with a photograph, but a detailed location will do. Friends of Lewes keep Rob Stevens, Highway Steward, updated on such cases – and write to congratulate him on timely and appropriate action!